The Science Chiropractic is based on the scientific fact that the nervous system, mainly your brain and spinal cord, controls the function of every cell, tissue, organ and system of your body. Your body is much like the Internet: your brain is your computer, your spinal cord is the information highway, your spinal vertebrae which house nerves, arteries and veins are the links to your organs, such as the heart, lungs, intestines, and reproductive organs. The disruption of the function of these tissues or organs and the nerve control is called VSC or Vertebral Subluxation Complex. Chiropractic is the science of finding these areas of spinal malfunction, the art of correcting them and the philosophy of all things natural as we have been created. 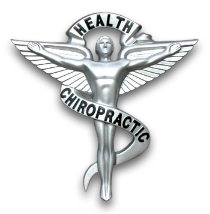 The Art Our doctors master the adjusting “art” of chiropractic which includes a comprehensive evaluation, a review of health history, and arrival at a clear diagnosis and a recommended specific treatment plan customized for each patient. This includes specific spinal adjustments. Adjustment describes many hundreds of ways and techniques of directed and controlled pressure to restore spinal segments to a more normal position allowing the nervous system to be restored to its properly functioning state. Chiropractic is truly an art. The Philosophy Chiropractic philosophy recognizes that the power that created the body can heal the body – as long as there is no interference. The doctor does not heal you; he is a co-facilitator with you for your body to be put in the correct environment to heal itself. The main purpose of the chiropractor is to reduce interference to your inborn, innate healing ability.